Create 3 projects (1 Misc Me/pocket style scrapbooking, 1 your choice, 1 using Mixed Media/Fine arts) and 1 tutorial showcasing your strengths. BoBunny products are not required but are encouraged. Social Media Links (Facebook, Twitter, Instagram, Blog, Youtube, Pinterest). 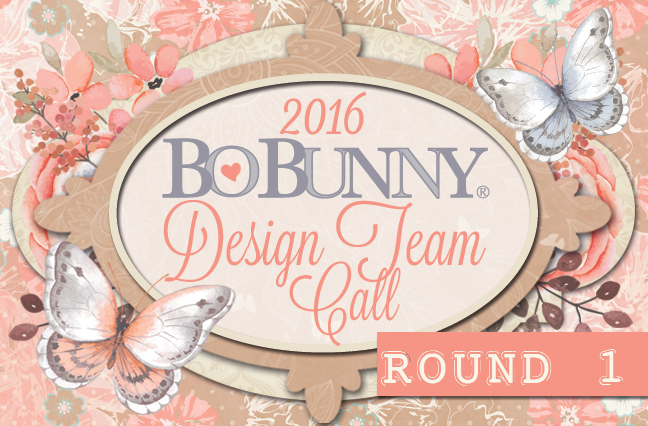 We will announce 25 finalists on May 26, 2016 on the blog and will ship product to them to create items for the second round. Let's have a party! I'll bring the banner to put up on the wall. 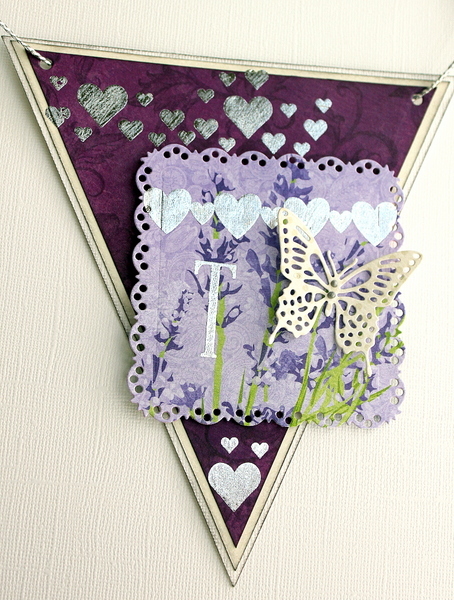 I have used the sweet Secret Garden collection for this project. 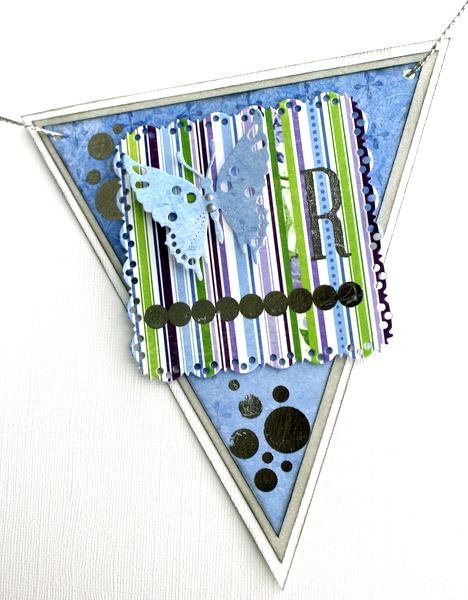 I added some beautiful silver foil transfer. 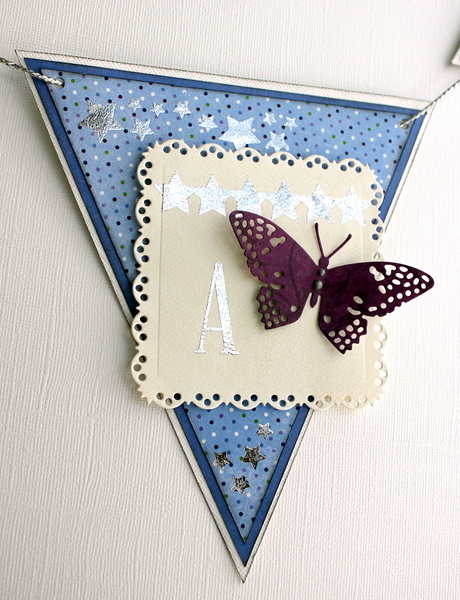 I cut triangles of Double Dot card stock and some of the patterned papers. 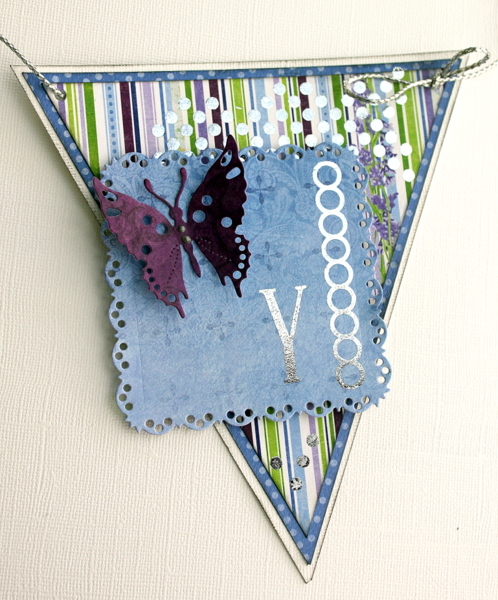 On each banner I added a square die cut and a butterfly die cut. I also added some silver foil transfer in different design on each. 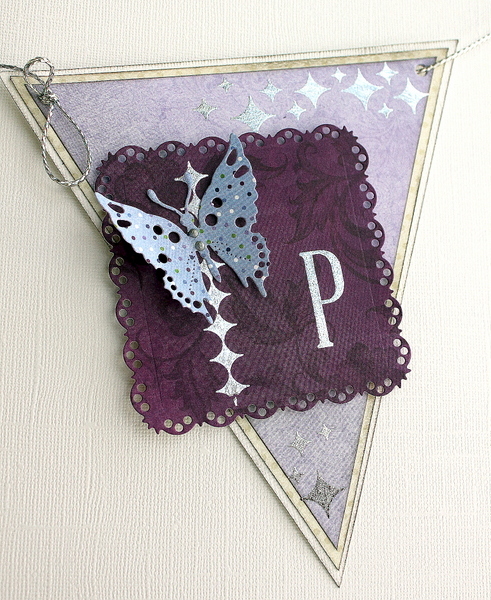 I used a Pearlescent on the butterfly die cut. Great party banner. Love your silver foil details!